I was on an emotional “high” after the If:Gathering. I feel as though I fell off a cliff. Someone important in my life pushed me off when I wasn’t prepared. I have always been a “Miss fix-it.” Not that I am that good with power tools, although I am learning. No, I have always tried to fix other people’s’ problems. That sounds foolish. When I write it down I feel foolish, but it is the truth. I think I learned to be a person who fixes problems for the people I care about because my mother taught me. She was an amazing mother. She loved so deeply and cared about everyone. She modeled Christian discipleship so beautifully. She was human, though, and in hindsight I realize she tended to fix problems that were brought to her. If you couldn’t fix your problem yourself, you took it to my mother and she did her best to fix it for you. Some problems must be fixed or borne by the bearer. Some people in my life never learned to do this. After my mother died her “responsibilities” were unconsciously divided up by the family. 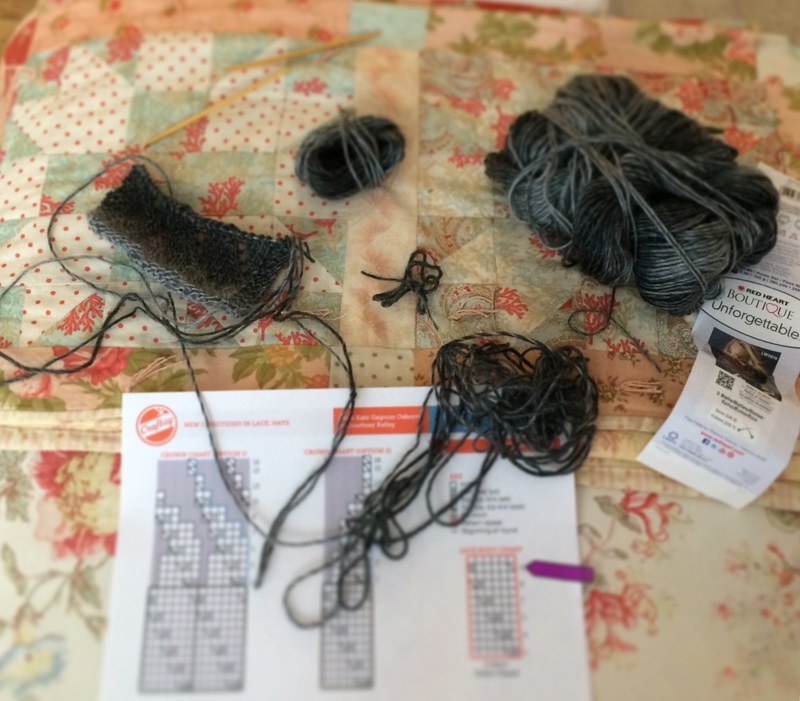 I become the “fixer.” I love to knit. It releases endorphins and makes me feel good to knit. I work out my problems on yarn. I untangle and rewind if the yarn has a tendency knot. I make center-pull balls to knit with. I learned to use a wooden spoon in place of a nostepinne and if you are a yarn person and want to know more just look it up on YouTube and you can make them also. The difficulty is that my thoughts are like a skein of yarn. I don’t have a setting for ignoring some of what someone says to me. I don’t know what statements reflect their real intentions and when they are just venting. I feel like I am trying to knit with a lot of loose ends. How do I weave this person into my life if I must keep cutting out the statements that cut me deeply? I am dealing with an important person who is hurting. They are begging me to fix problems for them. They are desperate for help,but other than to demand that I drop everything to help them, they don’t know what to do. My suggestions of ways to work on the problems themselves falls on deaf ears. How do you stop acting like the “fixer” when adults are trained to come to you with all their challenges? In a recent post Amber Haines wrote for (in)Courage about being in her words a “burden bearer.” This resonated deeply for me. This morning fighting with my skein of yarn, with time I do not have to spare, I recognized this in myself. Life really is like yarn. We do not know exactly what the finished project will look like at the end, but we usually have a pattern and an idea. We can change our mind, unknit, unravel, and alter our fiber, but the fun is in the journey. We are creating a one-of-a-kind piece of art. We need Gods’ help to do our best and we never quit learning, but the feel of the fiber through our fingers both soothes and invigorates. We are incomplete, but beautiful. We are knitting with our lives, His handiwork. God is the spinner who put just the right amount of twist in our yarn to create what He wants from us. No one has the same tension, we don’t even use the same technique,but all of us are works of art spun by His loving hand. I cannot knit anther persons’ life for them. I can sometimes help them unravel, but usually an extra pair of hands is in the way. I need to learn to get my hand off others yarn and work on my own. I am in a period of winding an uncooperative skein into a useful ball of yarn. If I continually drop my own nostepinne and try to unravel others’ work none of us will make progress. Wind, Amy, just wind your own yarn!